believe in the concrete nature of his attention to us. of the temple was reserved. true God, although in the midst of obscurities of various kinds. at least to approach him as the Unknown. “Freedom is to acknowledge that God is all…. It is complete self-fulfillment … the possibility to reach and confront one’s destiny” (Giussani). Pope John Paul II reminded us that “communion with the crucified and risen Lord is the never-ending source from which the Church draws unceasingly in order to live in freedom.” Freedom means adhering to the risen Lord with the full force of our full-blown faith. 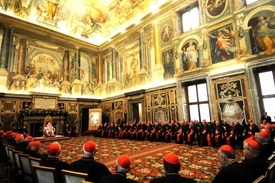 As Cardinal Christoph Schönborn writes, “To allow oneself to be led by God, to abandon oneself to his direction, is the highest expression of our freedom.” For “God willed that man should be left in the hand of his own counsel so that he might…freely attain his full and blessed perfection by cleaving to him” (CCC 1730). Jesus alone is “honey in th mouth, song to the ear, jubliation in heart,” said Saint Bernard of Clairvaux. All knowledge of Jesus, if it is to be considered true, consists in a personal and profound experience of Jesus and of His love for us. The experience of His closeness to us, His friendship with us, and His love for us is that intimate encounter with Him. H2O News has a news article on a meeting in Rome with Dr. Robert Moynihan, editor of Inside the Vatican, where he made a presentation looking at how world of the senses articulates the world of the supernatural by drawing our attention more deeply into the Incarnation. Dr Moynihan says a few good things on the video clip. Where and how do we seek communion in prayer with God? Catholics enter into communion with God through the Blessed Trinity. I purposely ask the question this way because so often I meet Catholics who have fallen into a quasi-Protestant manner of thinking and praying. They say, “My prayer is a relationship with Jesus.” They go no further. They also rarely give an indication that there are two other persons of the Blessed Trinity. Certainly, we all are to seek an intimacy with the Lord Jesus, but as Catholics our theology and its manifestation in the spiritual life through the sacred Liturgy and personal prayer is always in conversation with the Trinity: Father, Son and Holy Spirit. This is an essential point in the spiritual life. You miss this point, you miss the point of Catholic prayer. In fact, all of our liturgical prayer, save for a few, is directed to the Father, through the Son under the power of the Holy Spirit. “From the dogmatic point of view,” it is impossible to arrive at a perfect love of God if one ignores his giving of himself to us through his Incarnate Son, who was crucified and rose from the dead. In him, under the action of the Holy Spirit, we participate, through pure grace, in the interior life of God. When Jesus says, “He who has seen me has seen the Father” (Jn 14:9), he does not mean just the sight and exterior knowledge of his human figure (in the flesh is of no avail”–Jn 6:63). What he means is rather a vision made possible by the grace of faith: to see, through the manifestation of Jesus perceptible by the senses, just what he, as the Word of the Father, truly wants to reveal to us of God (“It is the Spirit that gives life […]; the words that I have spoken to you are spirit and life”–ibid.). This “seeing” is not a matter of a purely human abstraction (“abstractio”) from the figure in which God has revealed himself; it is rather the grasping of the divine reality in the human figure of Jesus, his eternal divine dimension in its temporal form. 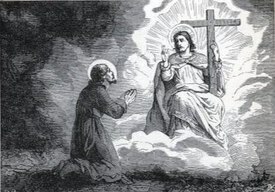 As St. Ignatius says in the Spiritual Exercises, we should try to capture “the infinite perfume and the infinite sweetness of the divinity” (n. 124), going forward from that finite revealed truth from which we have begun. While he raises us up, God is free to “empty” us of all that holds us back in this world, to draw us completely into the Trinitarian life of his eternal love. However, this gift can only be granted “in Christ through the Holy Spirit,” and not through our own efforts, withdrawing ourselves from his revelation (20). 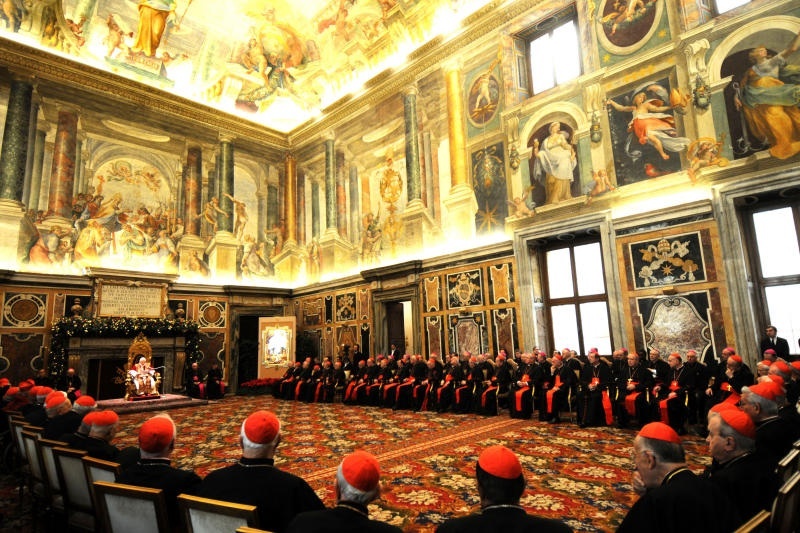 I would recommend reading Cardinal Ratzinger’s full letter to the bishops; it is linked above.